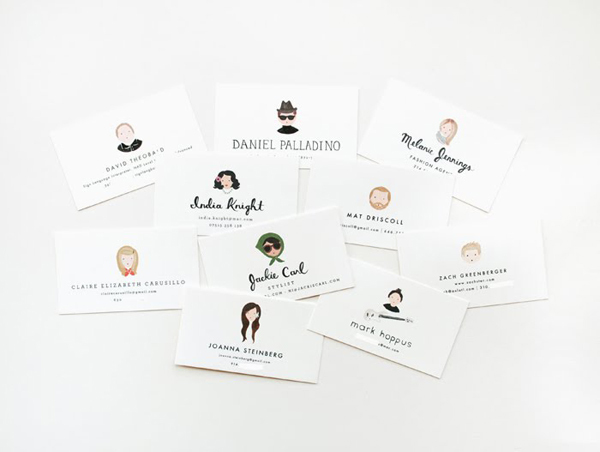 Love these custom calling cards by Anna Bond of Rifle Paper Co… Anna’s portraits are so adorable. 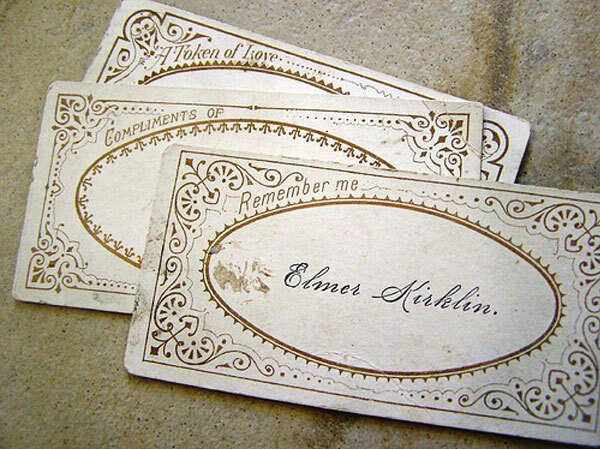 Flat correspondence cards are also available in this style for ordering. This would make such a cute gift! Calling cards by Anna Bond of Rifle Paper Co.
Now that that’s out of the way, please allow me to indulge in some navel gazing and blatant endorsing… I recently had the immense pleasure of working with Ben & Selina over at Studio on Fire to produce a pretty complicated invitation I designed for an upcoming wedding. Seriously, if anyone is looking for a printer, pleeaaaase drop them a line because they were so attentive, thorough and all around lovely people to work with. Ben & Selina recently did a write up of the invitations they produced for me on their blog, Beast Pieces if you’d like to check it out and see more photos. 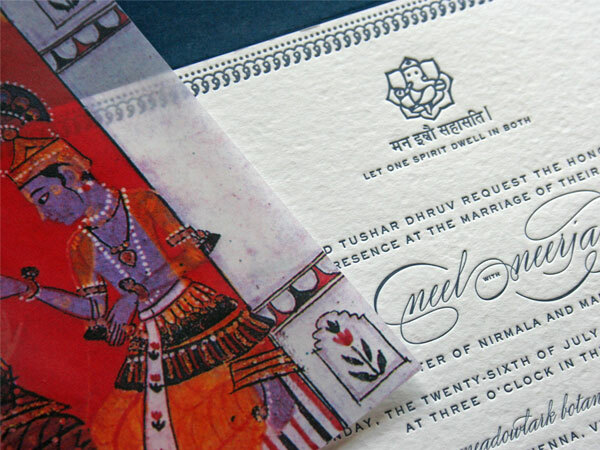 Edit 01.13.2015: You can see more images of this custom wedding suite at Niru & Baku where you can also find information on commissioning your own custom suite. 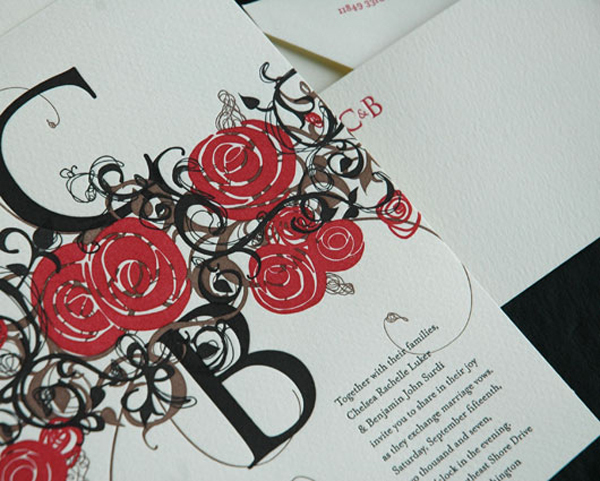 Detail of the digital offset vellum overlay and letterpressed invitation produced by Studio on Fire. Joy‘s Nantaka Joy e-commerce site is now live and it’s so gorgeous. Love the product photography and, of course, the products themselves! So far on my wishlist? 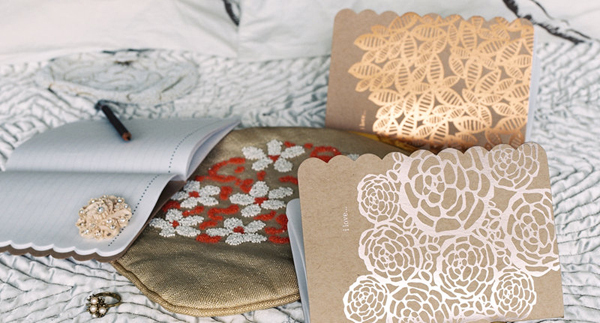 The I Love… Notebook and the Metallic Card Sampler. Congrats, Joy! (Foreground) I Love... Platinum Notebook, $12.75. (Background) I Love... Copper Notebook, $12.75. 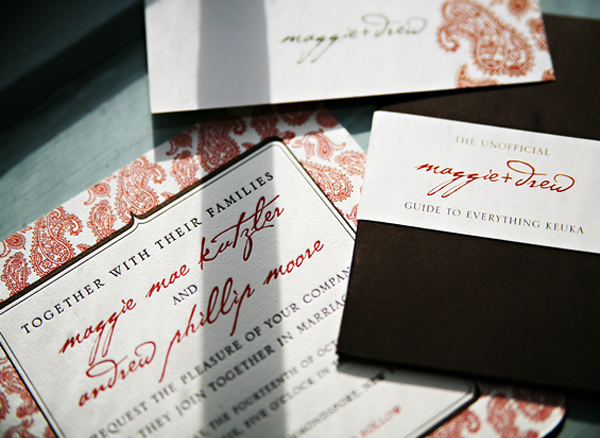 Spied Alisha’s work from Palindrome Press on Brooklyn Bride and had to post… The work is so unlike most studios… and it’s totally amazing. Chelsea & Ben’s invite above is my favorite. See Palindrome Press’ Etsy shop here. Please also note that Alisha is offering a 15% discount on custom orders placed this month.